It is not unusual in family estates, whether they be in probate court, or, more commonly now, in a deceased parent’s trust administration, for one of the heirs, usually a child, to want to keep the Decedent’s residence “in the family”. Sometimes this is motivated by nostalgia, or sentimentality for their childhood home, but more often, this desire is the result of a wise investment decision. 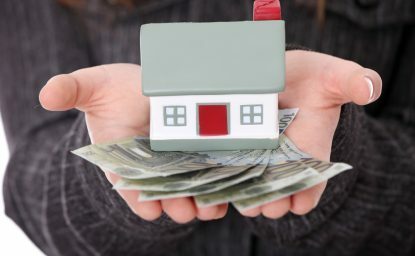 There are tax benefits, especially in California, to keeping a parent’s home, whether it is purposed for residence, rental income, and/or speculation that the property will appreciate in value. Besides, the “stepped up” basis on the death transfer for computing gain/loss when the property eventually is sold, a child who inherits real property from a parent can exclude the property from reappraisal under the ever popular Prop 13 rules. When there is only one child beneficiary, there is no real complexity to this transfer. The only child merely receives distribution of the real property “in kind”, meaning it is not sold, but distributed to him or her right out of trust or probate administration. The issues, if any, will arise, predictably, when there is more than one heir of sibling, usually children of the deceased, and only one wants to retain the residence for themselves, or as part of their investment portfolio. In these transactions, as in all real estate deals, there must be an agreement on value of the property, since it will not be sold. In probate estates, there is always a probate referee’s opinion that is filed with the Inventory. It is also recommended that the parties agree in trust matters to a qualified appraisal. I recommend my clients to use a MAI (member of the Appraisal Institute) for this purpose, as they are usually quite knowledgeable, and do not have the possibly conflicting interests of a real estate broker. Once the parties agree on the value of what is to be received, less any discounts, costs, or other negotiated reductions in that figure, the next step is to contemplate how the estate’s distribution can be equalized or offset by the value received in the property. When an estate has sufficient assets, this just amounts to an accounting function, i.e., the fractional value of the assigned sibling’s interest in the residence value is subtracted from the total appraisal (e.g., when there are three equal beneficiaries, that would be 1/3) and the other beneficiaries receive sufficient additional funds to offset the value of what they give up by assigning their interest in the residence. When there are insufficient cash assets in the estate to equalize this division and distribution, usually the assignee beneficiary must obtain financing, either from an institutional lender or private party. Sometimes even the assignor beneficiaries will “carry paper” and finance a secured buy-out themselves, also not a bad investment. The details of such financing can be varied and complicated, and will not be discussed herein. They need to be thought out and devised by legal and financial experts. Please note that I have referred to the child who receives the residence as the “assignee” and the others as “assignors”, not as “buyers” and “sellers”. In reference to the aforesaid Prop 13 exclusion from reappraisal, this transaction is always to be handled when the estate is in the administrative stages. The character of the transaction is an assignment of interest in an estate, with a corresponding value in cash substituted for the beneficiaries interests in the real estate. If the transaction is handled later, as a buy-sale between siblings, the County will most likely find that, as such, it will not be excluded from reappraisal. Obviously, all estate transactions should be monitored and supervised by counsel and agents who are experienced and familiar with the law and the rules in such matters.